No more sprawling cityscapes, long sight lines, and wide open areas, here we are returning to the claustrophobic, labyrinthine, “what’s around the next corner” terror of the first game. The story is fairly simple; You are Ethan, your wife Mia has been missing for years after warning you not to track her down, until suddenly you receive a cryptic e-mail that simply states that she is at the Baker farm in Dulvey, Louisiana. Obviously once you arrive, things get out of your depth very quickly, and this is one of the major successes of this game. Ethan isn’t a police officer, or a BSAA agent, or some super mercenary with magic blood; Ethan is just some dude searching for his wife, and that’s tangibly represented in the mechanics. You aren’t the fastest, you can’t easily slay your enemies with mighty melee blows, your aim isn’t the best and you can barely control the recoil on guns; basically, there is a sense that while there may be someone out there equipped for this situation, that person sure as hell isn’t you. This gives a sense of weakness at all times that most horror games have only been able to instill by making you completely defenseless, a la Outlast or Amnesia. Additionally, limiting the player to first-person brings back that same terrifying lack of information as the original forced-perspective camera angles. However, the true stars of the show are the Baker farm and its eponymous residents. The farm is sprawling and dilapidated. Nowhere ever feels safe as enemies can and will burst through walls or emerge from any shadow. Solving classic Resident Evil puzzles was a delight. My personal favorite is a trap room that Lucas Baker devised for his victims. The Bakers themselves are terrifying, entertaining, and tragic. I genuinely felt more driven to progress in order to learn about the Bakers or to see what grotesqueries they had cooked up for me than I ever did to save Mia. However, without giving too much information away, the game’s narrative does make fairly frequent use of the “Creepy Little Girl” trope, and, completely separate from objective criticism or analysis of its use, I am so over this. It should be noted, as much of the marketing materials do not mention this in any way, that there are fodder enemies. These monstrosities, called the Molded, are a tremendous fit for both the overarching themes of decay and the new mechanics of the game. Unfortunately, the way these enemies are introduced leaves a lot to be desired, as the game fails to teach you that sometimes it’s just as smart to run as to fight. Add on an infuriating infinite spawn glitch in the Incinerator Room area, and it becomes very easy to start out hating these enemies. It should be mentioned that, for the most part, the game is beautiful in its own dingy, disgusting way. 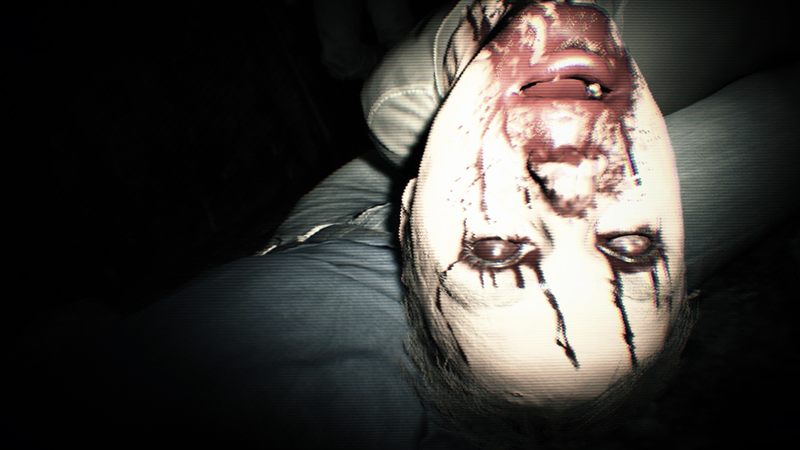 The lighting inside the house is tremendous, weapons leave impressively disgusting gashes, holes, and more in enemies whose fangs become covered in blood when they rip and tear at your puny Ethan flesh. But some aspects look weirdly terrible. Many trees are noticeably made out of two-dimensional sprites, some textures are just bafflingly low-resolution, and, weirdest of all, mouths are just terribly animated, ranging from simply looking like they aren’t synced to their vocals to some mouths looking like weird textural glitches. 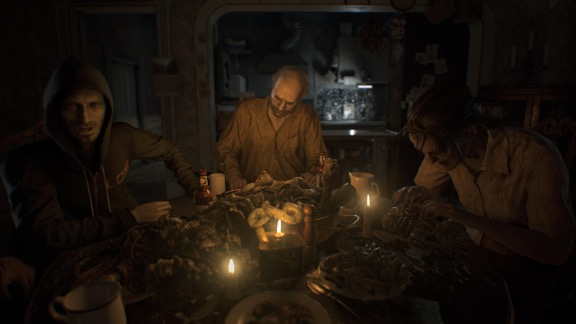 Minor quibbles aside, while it never failed to innovate or twist classic concepts, Resident Evil 7 is the first game in the series I’ve played since Nemesis that actively felt like it belonged in the series. 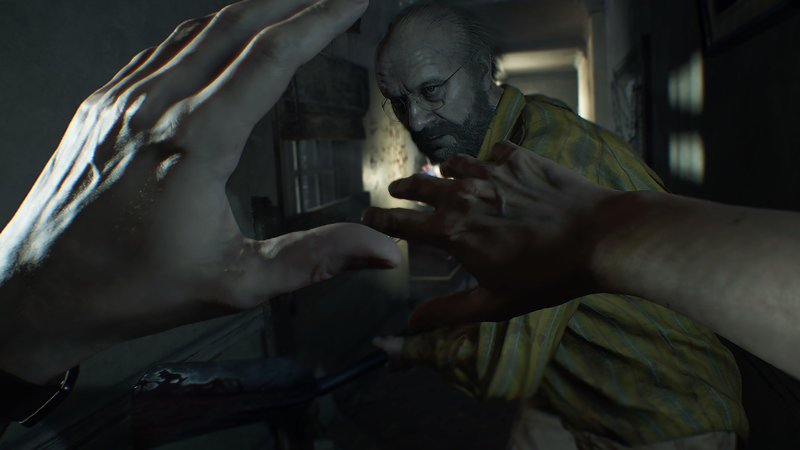 In so many ways, it’s clear that Capcom reexamined what Resident Evil was, and really made an effort to return to its roots reinvigorated. And goddamn does it feel good to be home.